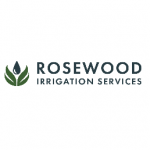 Rosewood are garden Irrigation specialists. A family-run business based in St Albans, we design and install automated watering systems, customised to help gardens flourish. Pop-up sprinklers, drip line irrigation, green roofs and living walls, full design and installation service.